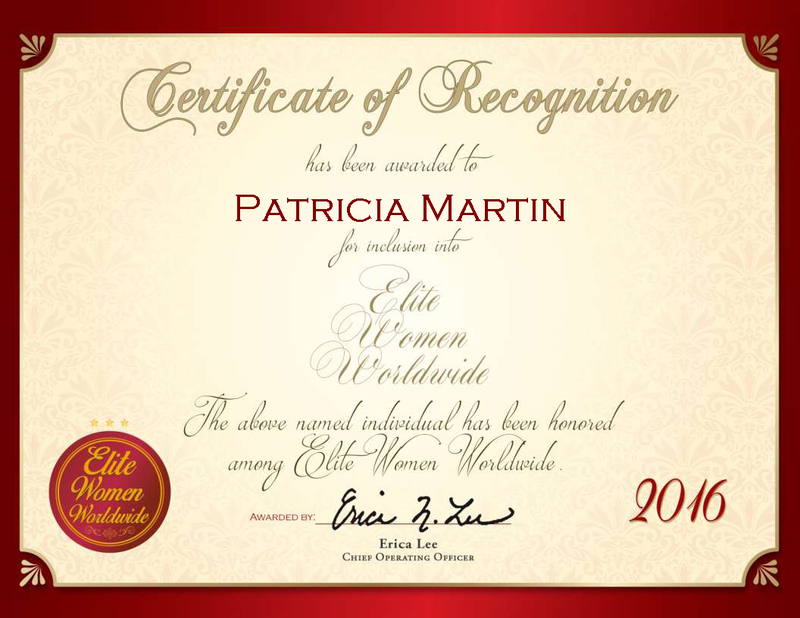 Rolla, British Columbia, Canada, March 10, 2016, Patricia Martin, Owner and Operator of Rolla Pub, has been recognized by Elite Women Worldwide, for dedication, achievement and leadership in pub management. Following in her family’s footsteps, Ms. Martin was eager to assume responsibility for the Rolla Pub, a well-known establishment nestled in the heart of a small historical farming community. She began working at the pub in 1985, eventually becoming a partner and finally taking on the role of owner and operator later in her career. Although the pub is located in the Peace River district of northeastern British Columbia, it proudly serves a wide variety of beer and alcohol to patrons of all generations from all over the world. The Rolla Pub currently resides in a 90-year old building, and has been family owned and operated for more than 48 years. As the sole proprietor of the pub, Ms. Martin is tasked with handling all of the finances associated with the business, which includes banking and ordering. She also spends time cleaning the pub and marketing via social media. In addition to maintaining the business, Ms. Martin has ambitious plans for the pub’s future; she would like to restore the building to its former glory while preserving the community-oriented environment that has continued to attract both local patrons and foreign visitors alike. A recognized expert in understand people and their needs, Ms. Martin is personally responsible for filling the pub with objects that reflect the northern Canadian culture, which includes local art, fossils, antiques, memorabilia and even local history books. Located just 20 kilometers north of Dawson Creek, Rolla was founded around 1912 as a way stop and steamer landing on the Peace River. Due to the area’s rich soil and open prairie, farmers flocked to the area to develop the land. In addition, a successful oil well was drilled in 1922, leading to a large influx of workers in the petroleum industry. It is Ms. Martin’s hope that the Rolla Pub’s cozy, community-oriented atmosphere will continue to provide insight to this town’s unique history for many generations to come.